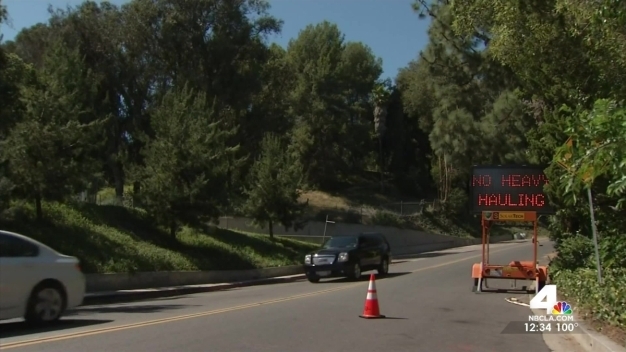 As colleagues and family members mourn the loss of two LAPD officers killed in crashes on a steep Beverly Hills road, residents are angry as the street's heavy traffic may be in clear violation of city rules. A reception was held Monday to honor the life of Los Angeles Police Detective Ernest Allen, who was killed Friday in a cement truck crash in Beverly Hills. A poster of the fallen veteran along with a wreath were set up Sunday at the Southwest Division station where Allen was a 27-year veteran. Fellow officers are seeking donations for the wife and two young daughters of an LAPD officer killed in an accident Friday while on duty.